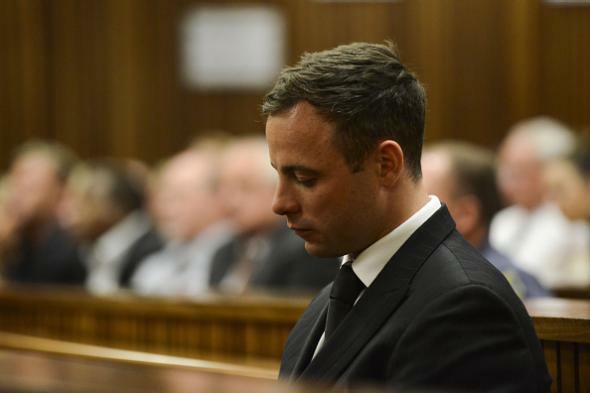 Oscar Pistorius will be released to "correctional supervision" on Oct. 20. Oscar Pistorius after being sentenced on Oct. 21, 2014, in Pretoria, South Africa. The parole board made the decision Thursday after an initial decision to release the double-amputee runner in August was canceled. He will be moved to correctional supervision, a form of house arrest where he will have to live under certain conditions. Pistorius, a Paralympic champion who was born without fibulas in his legs, won an appeal to the Switzerland-based Court of Arbitration for Sport that allowed him to compete in the 2012 London Olympics. (He didn’t medal.) Late at night on Valenentine’s Day 2013, he shot Steenkamp three times while she was in his bathroom, killing her. Prosecutors said he did so intentionally after arguing with her; he said he believed she was an intruder, and a judge ultimately ruled that prosecutors had not fully proven their case.